Do you have that perfect size saddle and want to make sure you get the same size? This is how you measure a western seat. 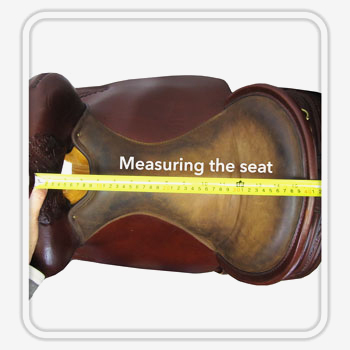 The angle of the pommel will affect the measurement but not the actual seat size. A better measurement would be from the base of the pommel, horizontal line straight back. Remember that published seat sizes are from the raw tree before leather and padding are added.